Change can be scary for businesses, especially if your brand has looked a certain way since its inception. Technologies, clientele, and all other types of elements inevitably change, though, and sticking with the same old look can make you look like a dinosaur to your customers. Worse even: to your potential customers. 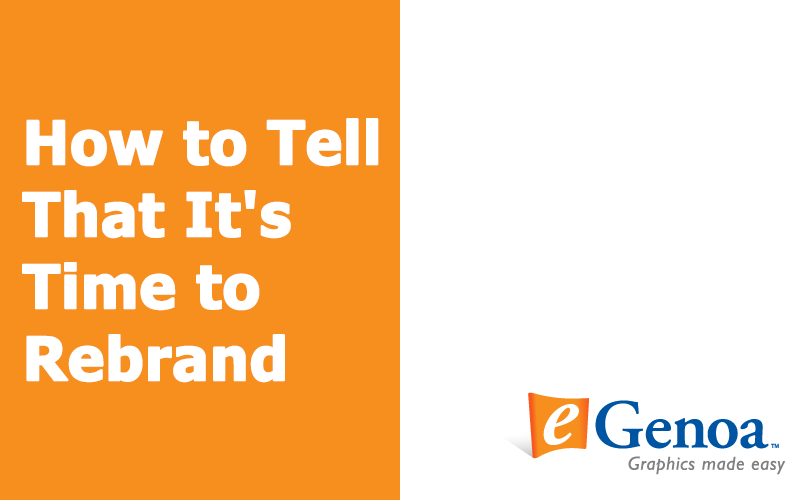 You truly had a great idea for branding your business at first. Your best friend drew you a logo that you stamped all over your business cards and newspaper ads. Your uncle, a retired English teacher, helped you come up with a genius name that seemed to tie your missions, products, and services all together. Your cousin helped you pick the right colors for the sign out front. Even if you have been making enough money to get by since then, you may be at a point where you’re just no longer growing and not drawing in new customers. What does your logo mean? What does your name mean? What does your business do? Does it take more than a minute to explain to someone? Do they still not get it? It’s time to start over and look at what you offer customers from a brand new direction. Stuff happens, and even the best companies experience scandals. Maybe a rogue employee conducted inappropriate personal business using company e-mail or letterhead, splashing your logo all over the local news. On the other hand, the distance may be necessary because of something totally outside of your business. There’s always a possibility that something about your colors, your slogan, or even your businesses’ name could remind people of a political scandal or public catastrophe. Some tweaks to your brand can create a fresh image for you so you can focus on conducting business and not doing damage control. If you are moving from being a small wine bar to a full gourmet restaurant, you’ll probably want everyone to know about it. Reflecting that growth in your branding is one of the best ways to make that happen. Rebranding is a big project, but help is at hand! The graphics professionals at eGenoa are available to answer any branding-related questions, and to help you get the right signage and marketing collateral to tell the world all about the new you.